Board of Directors • SOS Manpower Service Pvt. Ltd.
Mr. Hem Bahadur Gurung is the Founder Chairman of SOS Group of Companies. 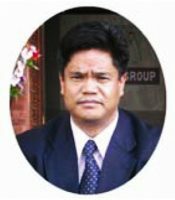 Mr. Gurung is also an independent investor with a strategic investment portfolio comprising of Hydro Power, Real Estate & Property, Publication/Print, Hospital, and Commercial Banks. Prior to starting SOS in 1995, he was associated with Oberoi Hotels in New Delhi, Rajasthan, & Riyadh. 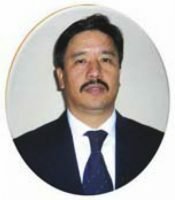 Mr. Gurung has a degree in Hotel Management from Oberoi School of Hotel Management in New Delhi. He is a graduate of King George Royal Academy in Ajmer and also holds a BA from Delhi University. Mr. Gurung is a recipient of Bikas Ratna Award and is a Melvin Jones Fellow of Lion’s Club International Foundation. Mr. Loka Pani Agnihotry is the founder CEO of SOS Group of companies. Mr. Agnihotry a development Management Expert holds MBA degree from University of the East, Philippines and Diploma in Airlines & Travel Management from Alitalia . Prior to establishing SOS Group he was associated with various International organizations viz: The World Bank, IBRD, IDA, UNDP, ADB, WAPCOS New Delhi, CERTEZA Philippines, with various responsibility starting from Coordinator to Management Expert. Already have more than 30 years of experience in handling multibillion dollars projects in Nepal. 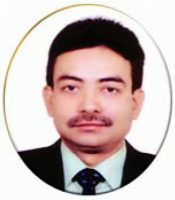 Mr. Sunil Pani Gautam is the Founder and Director of Finance & Recruitment Affairs with the Group. Mr. Gautam is also an independent investor with a strategic investment portfolio comprising of Hydro Power, Real Estate & Property, Publication/Print, hospital, and Commercial Banks. Mr. Gautam was into airline ticketing business prior to founding SOS. Mr. Biju Raut is the Founder and Director of Marketing Affairs. Prior to SOS he was into trading (imports) of foreign goods. Mr. Raut holds a M.Sc. degree. 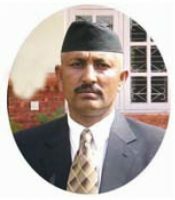 Mr. Bharat Khadka is the Founder and Director of Training Affairs. Mr. Khadka oversees the strategic aspects of Vision Technical Training Institute. 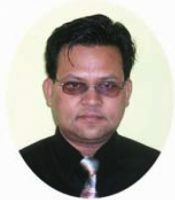 Mr. Khadka has a longstanding experience in automobile trading in Nepal. Mr. Som Lal Batajoo is the Group Director of Government Affairs and external relations. Mr. Batajoo is the key person in liasioning with the Government of Nepal’s Ministry of Labor with regards to the group’s new business and strategic objectives. Prior to joining SOS Group Mr. Batajoo was a longtime civil servant and has also worked for a Bilateral Development Agency. 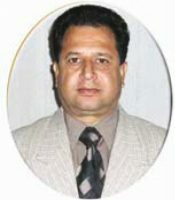 Currently, he is the President of Nepal Association of Foreign Employment Agencies. Mr. Batajoo has a B.Sc. degree in Forestry Science.